Najnowsy flagowy model, D-08u, jest odtwarzaczem CD / SACD, wyposażonym w niezwykłe funkcje i najnowsze technologie. Bardzo sztywny, oryginalny mechanizm napędu dyskowego, LxDTM (※ 1), zapewnia stabilną rotację i dokładny odczyt płyt. Aby uzupełnić układ analogowy, zainstalowaliśmy najnowszą wersję 4.0 naszego oryginalnego ODNF (※ 2), który działa w pełni zrównoważonej konfiguracji obwodu. ※ 2 ODNF to skrót od "Negatywne sprzężenie zwrotne". The disc drive mechanism of the D-08u has a highly rigid, original design. In order to conserve space for the densely populated analog circuitry and to achieve the optimum shortest route for audio signals, we adopted a left side layout for the transport mechanism, leading to the development of LxDTM, our latest original disc drive system. 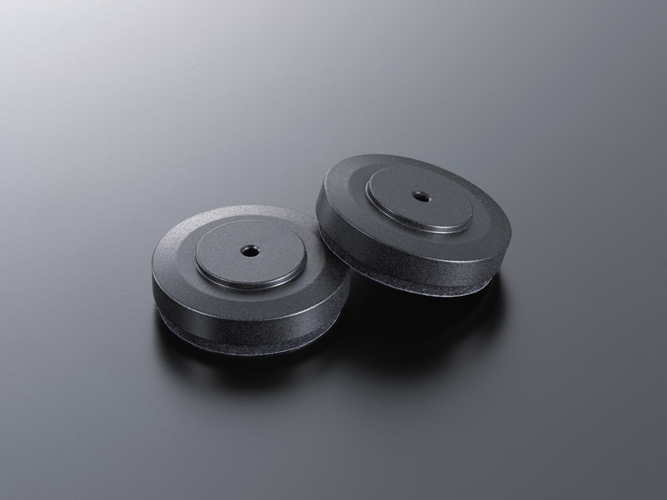 A robust case covers the entire base supporting the transport mechanism and a very thick square chassis reduces the negative effects of external vibration, leading to increased accuracy when reading disc data. The D-08u is equipped with dually configured Texas Instruments PCM 1792A D/A converter chips, which achieve an ultra high signal to noise ratio and a theoretical dynamic range of 132dB. This not only applies to CD and SACD disc formats, but also to digital audio from a Windows or Mac PC over the USB connection, supporting PCM data up to 384 kHz / 32 bit resolution and DSD data up to 5.64MHz resolution.By using the latest Texas Instruments TAS-3152 32-bit digital signal processor chips to refine the sound quality, PCM signal up-sampling of up to 384kHz is handled effortlessly. 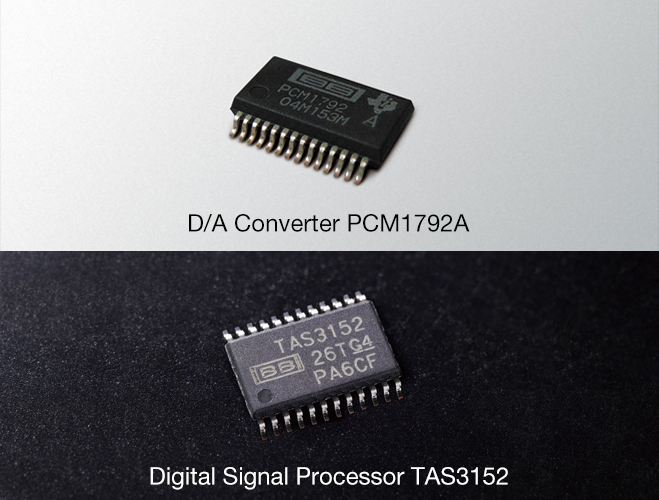 Employing other functions of this chip, it is possible to select your preferred tone from 3 different digital filters for PCM and DSD signals. There are also 2 kinds of analog FIR filters available via the built in DAC chip.As a countermeasure against jitter, the USB circuit uses asynchronous communication with a dedicated DSP engine. 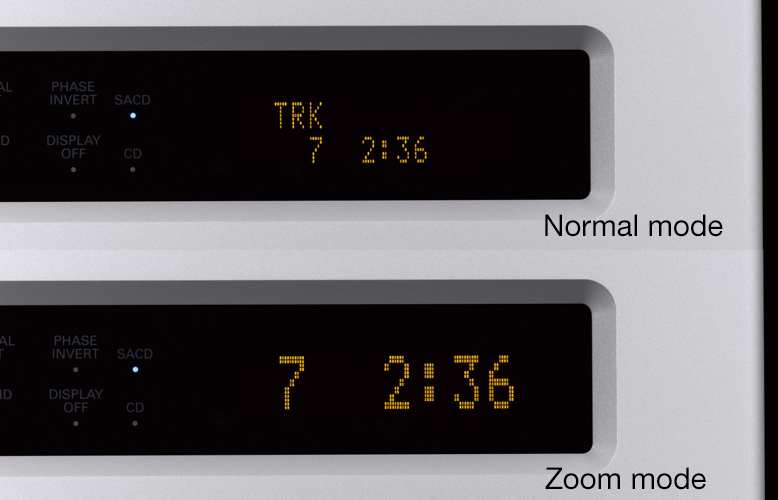 CD and S/PDIF pathways have high precision DAIR clocks built in. 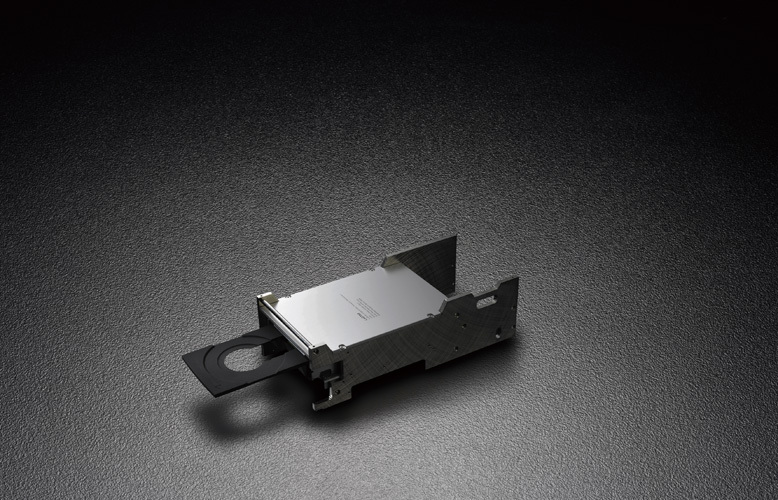 Jitter is eliminated from SACD data using a dedicated jitter reduction chip. 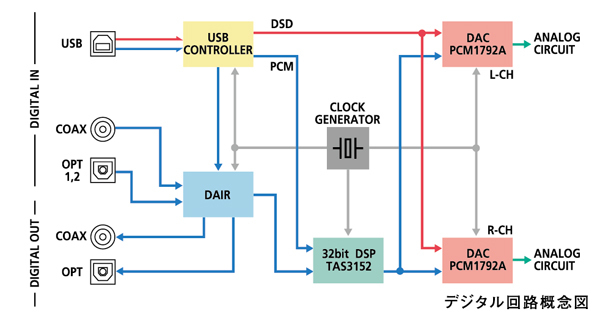 In addition, a low phase noise clock module enhances overall digital signal transmission. In the analog output circuitry, which determines the final output quality of the decoded digital signals, we have employed the latest version 4.0 of LUXMAN's ODNF negative feedback circuit, an essential component of LUXMAN's modern amplifier technology, which greatly improves the distortion characteristics and signal to noise performance of this model. Furthermore, the D-08u uses filter processing outside the audible frequency range, as is necessary for digital players. This is not performed by an independent filter circuit, but by gradual band processing applied within the ODNF circuit (three 1st order filters), reproducing natural sounding audio waveforms. 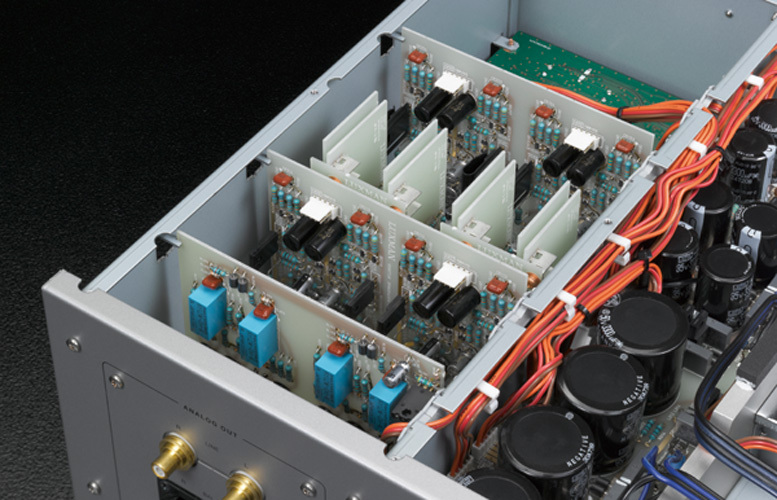 In addition, LUXMAN's traditional highly stable power supply supports each circuit with an independent regulator and large capacity blocking capacitors. These, coupled with a power supply transformer designed exclusively for audio applications, result in powerful and stable operation. We adopted a peel coat production technique for all of the audio circuit boards, to achieve lower circuit resistance, which can have a negative effect on sound quality. 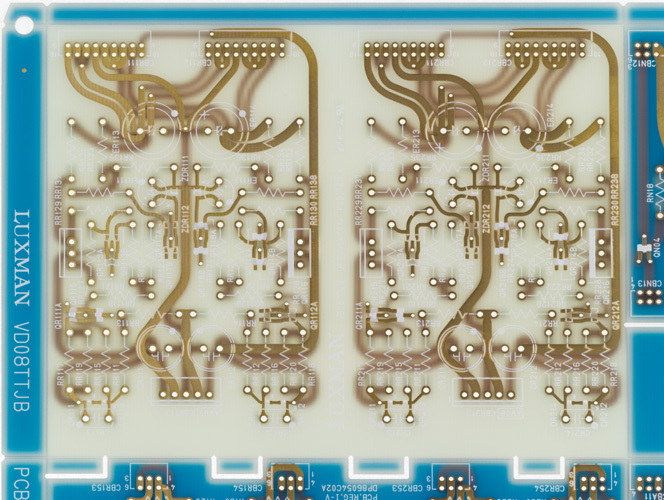 Also, the smooth curves of our non-angled circuit board trace pattern ease the flow of audio signals. 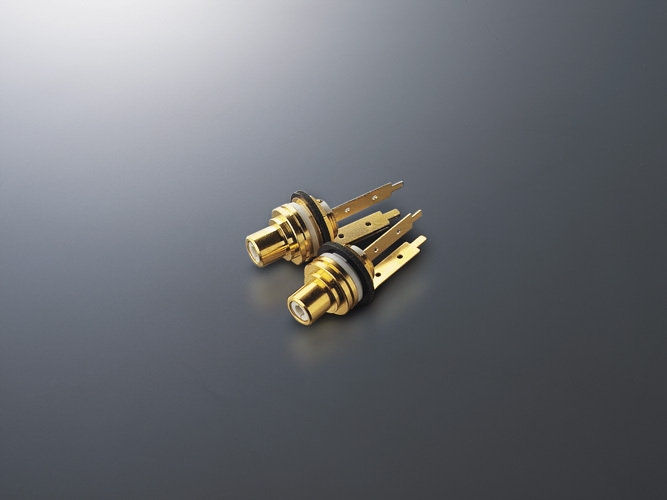 For the analog outputs, we have utilized high-performance RCA terminals made from a new copper and brass alloy, which combines the conductivity of copper and durability of brass, and high-grade Neutrik XLR terminals for balanced output connections. In the current era of high-resolution music distribution, the PCM encoding method used for CDs is widely used as a leading streaming format. The USB input of the D-08u is fully compatible with not only PCM format, but also DSD formatted audio data which has recently gained popularity. The different nuances between these and other formats can be demonstrated dramatically, catering fully to the listener's taste in digital content. The USB system's maximum resolution limit is 384 kHz / 32 bit for PCM data and 5.64 MHz for DSD data. 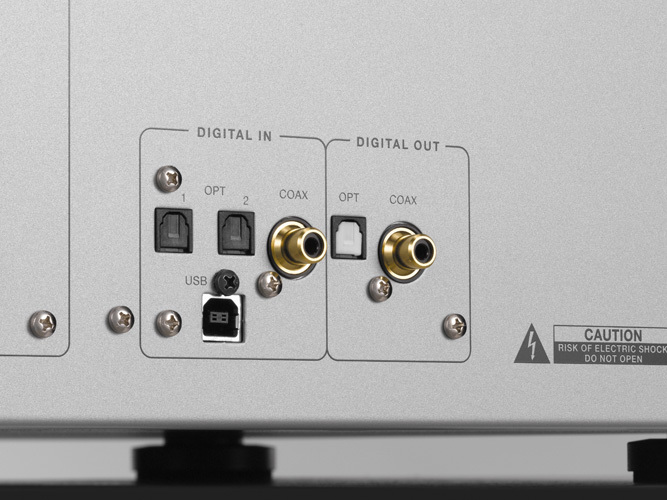 A maximum resolution of 192 kHz / 24bit is available over S/PDIF. Current musical content providers mainly use encoding rates of 192kHz / 24bit for PCM files and 2.82 MHz for DSD files, but the D-08u has the ability to read and reproduce audio encoded at resolutions far exceeding these current rates. We have prepared a state-of-the-art listening environment equipped to handle the future evolution of digital audio sources. In order to play FLAC files with lossless compression format (a common choice for digital music distribution services) and DSD formatted files, which are becoming popular, it has been necessary to introduce compatible music playback software. 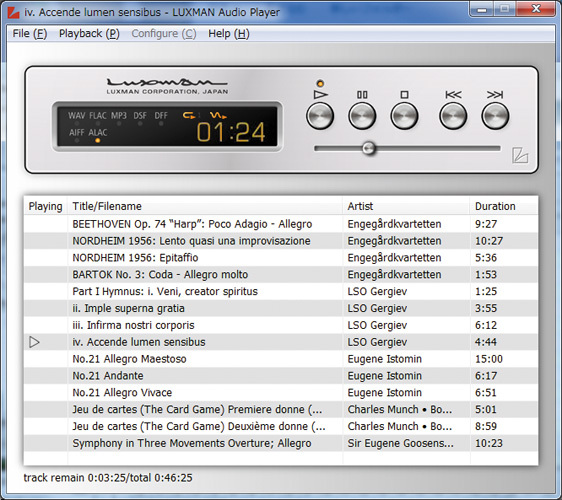 LUXMAN has developed our own custom audio reproduction software, "LUXMAN Audio Player". By installing it from the enclosed CD, the listener can begin using it right away. The software is fully compatible with the file formats handled by all major music streaming services, such as FLAC, ALAC, WAV, AIFF, MP3, DSF and DSDIFF. 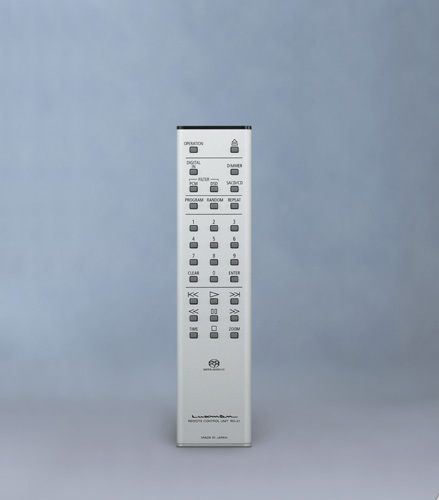 It is compatible with both Windows and Mac computers and offers comfortable operability with a simple, summarized user interface.